Hunt on a Man Named 'Michael' Has Started Because of This Girl... Find Out What He Did to Her! There are lots of cheating stories that we may have read and watched here on the internet. Some may cause a total break up, but some just can't end their relationships. There's another case of cheating that now rounds on social media, the hunt for a man named Michael. It has recently gained attention from the netizens especially those who have the same name that the guy accused of being unfaithful. 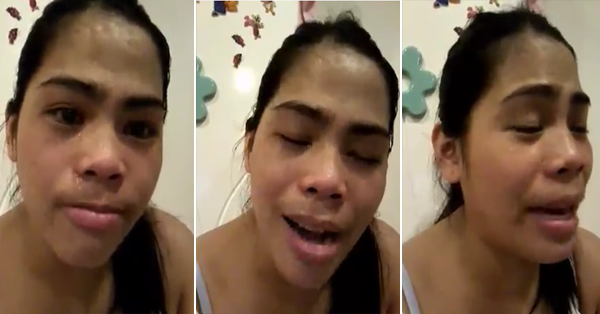 Jean Nunez, the one who claims that she was cheated by her boyfriend made a video to express her feelings towards her unfaithful partner. But obviously, this was all an act, Maybe she's just trying to make herself famous by uploading random videos and hoping that some talent scout may appear and give her a break. Ang bitter naman ng author na to.. d ba pedeng gstu lang ni Ms.Nunez magpatawa ng tao ? She Let herself looks crazy nd funny thinking that she might gve goodvibes to her frens not to seek a break from any talent scout..
hahahah xD at paano nman mabubuntis ni MYKIL yung transGINGER?? ?